Home "Youth Day: Dialog of Generations"
"Youth Day: Dialog of Generations"
On October the 3rd, the project "Youth Day: Dialog of Generations", in the frameworks of the VII St. Petersburg International Gas Forum, have been opened by Elena Borisovna Kasyan - Head of the Department of PJSC "Gazprom", Chairman of the IBC Committee "Human Resources, Education Science and since Higher Economic School of Saint-Petersburg State University (HES) is the general organizer of the event, Jana Klemetovichus - director of HES SPbSUE greeted students from 26 countries. After the official part and awarding the best students on the results of individual task solution, participants were engaged by an interactive gas-oriented game, had an exertion through VII SPIGF exhibition and four Interactive workshops followed as well. 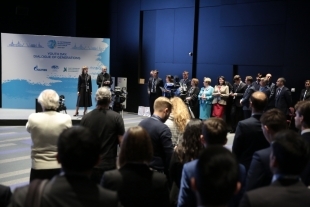 Top-managers of leading energy companies and international experts are gathering for the third time to discuss trends in gas sector development in a form of direct dialog with high-ranked students. In 2017 on the base of individual task solution the International Expert Committee have selected 130 students from 40 Universities of 26 countries, such as Austria, Belarus, Bolivia, The Great Britain, Germany, China, The Netherlands, Russia, USA and France. 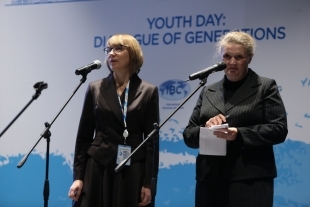 The Youth Day brings together experts from all over the world. 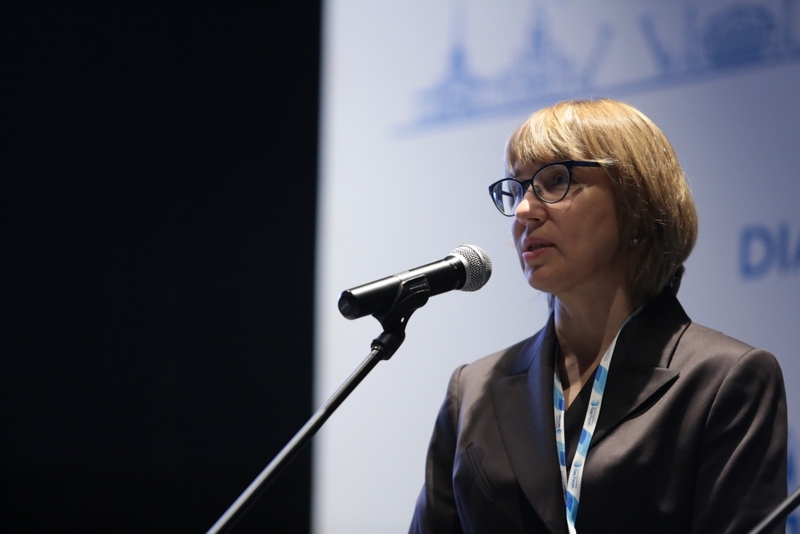 General Partners are International Business Congress and PJSC «Gazprom», within a support of Uniper, EDI, Gasunie, ESMT, Shell, Wintershall, ENGIE, Total. Organizer is Higher Economical School of Saint-Petersburg State University of Economics. The theme of this year is a “Dialog of Generations: Rethinking Gas”. Gas market maturity, as well as global digitalization trend are both forcing to search gas exploitation alternatives while forming a new structure of energy market. Therefore, arises necessity to rethink ongoing and to identify the actual required set of competencies for young specialists in order to manage industry proactively in the future. Program is full of assorted interactive activities. Straight after the Grand Opening Ceremony, participants are going to take part in international communications training and for energy sector introduction, they visit main exhibition of the SPIGF -2017. 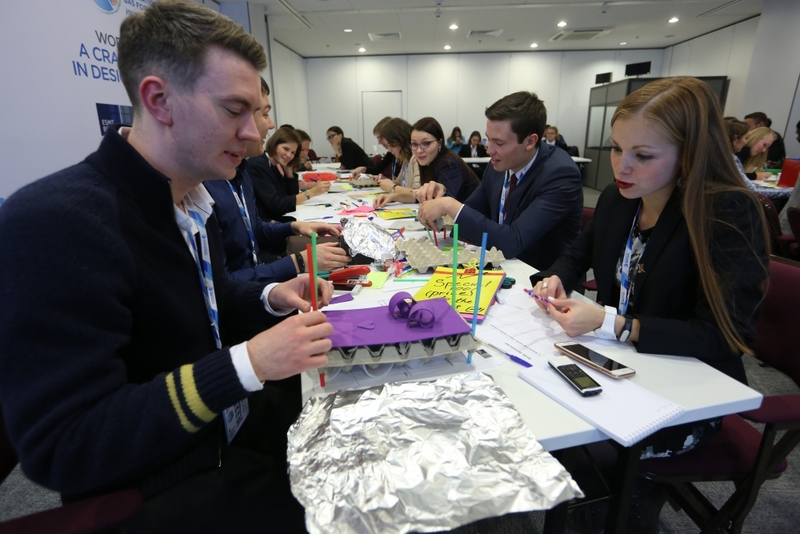 Interactive workshops cover various business spheres: ESMT Berlin provide a crash course in design thinking, which is a very popular method of customer-centric innovation. Section from company Wintershall goes through aspects of project formation and project approval procedure in oil and gas companies. While master-class participants have to gain competencies in the following. 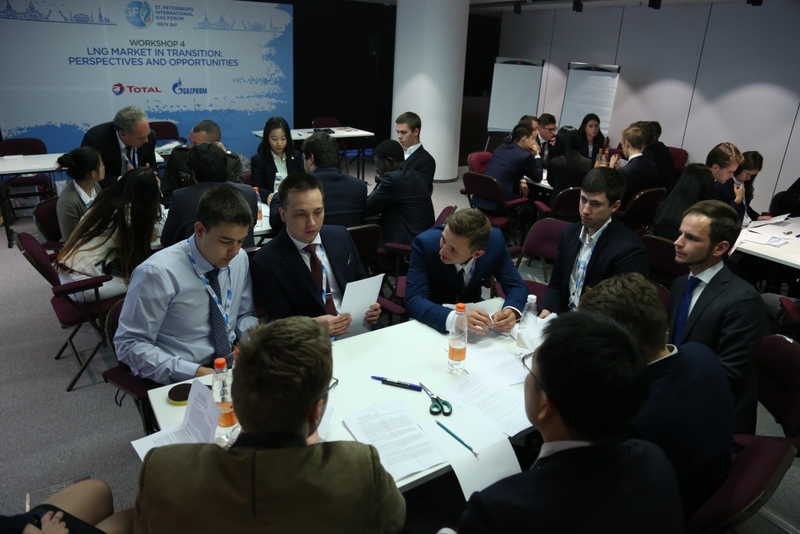 The workshop from Total is aimed at attracting students’ interest to LNG industry, providing them with a high-level picture of the actual market situation as well as possible future developments. At parallel, Gazprom Neft with students is going to answer on a question - does urbanization drive the future of energy, and if yes, in what extend. 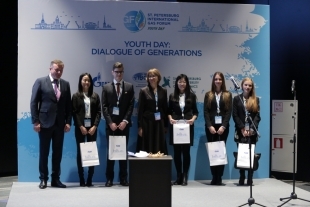 The final day is entirely devoted to the "Dialogue of Generations". Future specialists receive an unique opportunity to attend the SPIGF Plenary Session, accomplished by "Off-Tie" meeting with the leaders of the leading international energy companies: Alexey Miller - Chairman of the Management Committee, Deputy Chairman of the Board of Directors PJSC «Gazprom»; Klaus Schäfer - Chief Executive Officer, Uniper AG; Han Fennema - Chairman of the Executive Board and CEO, N.V. Nederlandse Gasunie; Mario Mehren - Chief Executive Officer, Wintershall Holding GmbH; Cederic Cremers - Country Chair, Shell Russia. In addition, Chairman of the Management Committee PJSC «Gazprom» Alexey Miller personally rewards the members of Case-contest winning team. Speakers from the Youth Day partner companies share their experience of success, explain their vision for industry` further development, while students have a rare chance to build a dialogue with the worlds` energy leaders and ask their questions directly. The Project has a long-term focus and have a mission to train young professionals.